Welcome! 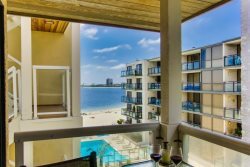 Pacific Coast Vacation Properties is a property management company based in San Diego, and we manage Vacation Rentals. We pride ourselves in being a helpful and reliable source to assist you in making your trip and stay a wonderful memory. Below you will find details about our home, Hamilton Cove 2-36, located in Avalon on Catalina! Please make sure to read all details about our properties. We highlight everything you need to know about your vacation rental in our listing, through emails, home manuals, in-home signage and phone correspondence. We want our guests to feel prepared, informed and at ease while staying with us. We are always available if you have questions! *NOTE: This home is located by the beach but this condo is still a NOISE SENSITIVE property. Respect must be shown to the property and neighbors at all times. No loud music, parties, and or loud talking outside after 10 pm. Violation of these rules MAY result in immediate eviction from the property per your rental agreement, and/or charges from the Hamilton Cove Security and Avalon Police. Our Hamilton Cove 2-36 condo is located in the exclusive, gated Hamilton Cove community. You'll enjoy palm trees and an expansive view of the Pacific Ocean from any room in our condo. At the horizon, you can see Los Angeles and in the foreground is a private beach. A pool, hot tub and fitness center are just steps away. The community also offers a playground, sand volleyball court, 18-hole putting green, tennis courts, croquet lawn, basketball hoop and picnic area for your enjoyment. We continuously update our place and recently purchased a king bed. The balcony is a delightful spot to have breakfast and watch the sunrise. And while the sun sets on the other side of the island, it is still incredible to enjoy the beauty of dusk. Our villa is accessed via five flights of stairs. We are not a hotel, WE ARE BETTER! We offer many of the same luxuries of a hotel with the comfort and space of home to share with your whole family. Our property owners are our friends and we work with each owner to offer a special, specific and ideal environment for guests to experience and enjoy. With that said, we need you to do your part in helping us maintain each home. Please be attentive to ALL RESPONSIBILITIES as a guest of our home. Trash/Recycling, Check-out duties, Communication to management and Care of the home all help us give each guest and family a home to feel at home in. We appreciate your assistance in making our homes and business unlike any other! This villa is a 1 Bedroom, 1 Bath, (Sleeps 2-4). The master bed is a king and the sleeper sofa in the living room is a queen. The bathroom has a dual vanity with a glass sliding door to shower and tub. We like our guests to feel at home as soon as they arrive! We provide a starter kit to help our guests get settled without needing to rush off to the store. Our kits include: paper towels, toilet paper, shampoo/conditioner, soap, linens, towels, sponges, dish soap, laundry detergent, dishwasher pods when applicable, trash bags, Keurig coffee makers have k-cups, standard coffee makers, extra blankets, sometimes extra pillows, extra sheets-for sleeper sofas, hair dryer, ironing boards, kitchens fully stocked-enough for max occupancy with some extra settings, toasters, some waffle makers, blenders, crock pots, tool kits, first aid kits, fire extinguishers, and co2/fire detectors. While on vacation, we want our guests to relax and we feel in order for our guests to feel relaxed they should also feel informed. Our emails serve to educate you on your vacation rental home, the surrounding area, responsibilities, what to expect and how to get in touch with us. We respect your privacy so our emails help provide you with all you need to know to reference as you please. In addition, most of our properties have House Manuals detailing specific information about the property, amenities and responsibilities. Not to mention an awesome section on attractions, events, restaurants and more to help guide you during your stay in San Diego! Our newest properties have home manuals in the works! On our home website: www.pacificcoastvacationproperties.com we showcase our new Matterport technology to help give our guests an idea of what staying in our home will be like! The Matterport Virtual Tours give our guests an inside look around the home with updated footage of every room! A floor plan is also available. See options located below the property photos on this page. 2-3 night minimum required in the off season. 4 nights are required over Thanksgiving, 5 nights are required over Christmas. 7 night and a Saturday to Saturday stay may be required during peak season (June - August). Check in time is 3 pm and strictly enforced. Please follow all instructions for your arrival and departure from our home in our email and phone call correspondence. There is signage around the home to assist with use of amenities and questions that you may have during your stay. We do not typically rent to guests under the age of 25. Please contact us prior to booking to see how we may accommodate your group. Staff was amazing. From assisting prior to check-in to answering questions to fixing the flat tire on the golf-cart at checking staff fast courteous and responsive. See VRBO comments on property.